I love food! And the easier it is to prepare, the more I love it! I'm always on the lookout for easy, healthy recipes. I thought I'd share with you a few of the winners. These are all recipes my family loves, that I make on a fairly regular basis. 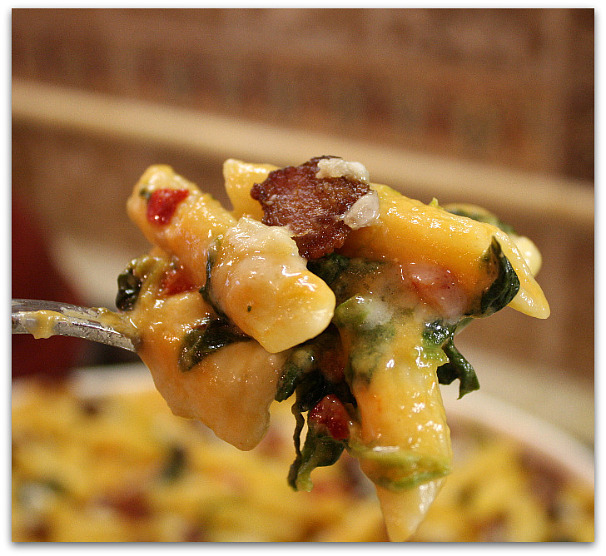 The first one, Baked Penne with Bacon, Roasted Red Peppers and Spinach, comes from recipegirl. 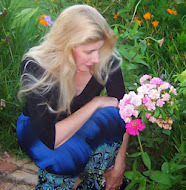 Lori Lange is one of my favorite food writers! Doesn't this look amazing?! Trust me, it is! You can find Lori's recipe HERE. The only things I do differently are: I use mozzarella in place of the provolone (budget reasons only) and I use real bacon bits, rather than cooking bacon and crumbling. Why this recipe is a winner: I can make this ahead and because it makes so much, I can leave part of it home for my dad to eat while we are away. Next up are these soft tacos. This recipe was inspired by the Mission® Foods recipe on allrecipes.com. I've changed it only slightly, but you can see the original recipe and the nutritional information HERE. Their recipe includes a Chipotle Cream Sauce, but we love to use Brianna's Chipotle Cheddar dressing on ours! 1.In a skillet set at medium-high heat, add the seven ingredients from the olive oil through the cilantro. Saute those ingredients for 5 minutes. 2.After the 5 minutes, add the tilapia and cover and cook for 3 minutes or until fish is fully cooked. (I flip the fish ½ way through so both sides of fish are covered with the cilantro/garlic mixture) Then add in lime juice and let cook for 1 additional minute. 3.Heat the tortillas according to the package instructions. Fill with the fish and your other favorite ingredients. We like lettuce; cheese; avocado, tomatoes and Brianna’s chipotle cheddar dressing on top! Next is a very easy, Roasted Vegetable (and pepperoni) Pizza. This recipe is based on one I saw in Cooking Light. You can view their version HERE. 1. 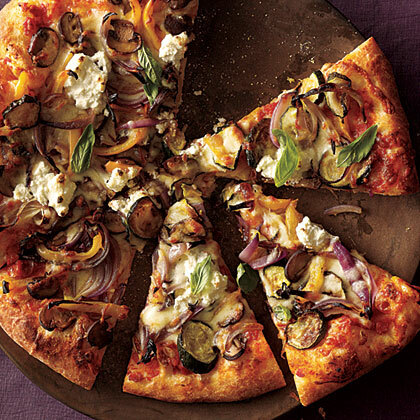 Combine mushrooms and next 4 ingredients (through olives) in a large bowl; drizzle with 1 1/2 tablespoons oil. Toss. Arrange on a jelly-roll pan. Bake at 500° for 15 minutes. 2. Slide pizza onto pizza stone (or baking sheet). 4. Sprinkle ½ cup mozzarella over sauce; top with vegetables. 6. Bake according to directions on pizza crust. For Mama Mary’s it’s 7-10 minutes at 425° or until crust is golden. Most of these ingredients are optional, I often don't have zucchini on hand and I only include the pepperoni for my hubby – this pizza is so easy! Have fun and make it your own! This is winner because it's easy and I can prepare (chop, etc) the ingredients ahead. And finally, one of my favorites! 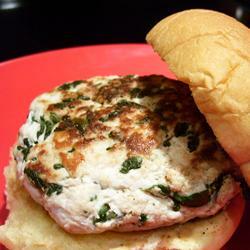 Spinach and Feta Turkey Burgers! (Honestly, I don't even like turkey, but I love these burgers!) Once again, this recipe was inspired from several similar recipes found on allrecipes.com. 5. Arrange patties on broiler pan. Cook for 10 minutes, switch to broil for 5 minutes or until done. I cook these in our toaster oven, which is great in the summer as it cuts down on kitchen heat! I serve these on Orowheat sandwich thins with a (very) little mayo, lettuce and tomato. I usually make a batch of Oven Fries to go with them, but will probably just settle for a pickle when we’re at the cabin. These are a winner because the ingredients are minimal (I'm already packing feta for the pizza!) and they are SO good and SO easy! Even with these oh-so-easy recipes, I'm overwhelmed by the amount of food I'll need to pack for our 5 day cabin adventure rest-cation. I think I would be seriously questioning my sanity at this point if we had kids! How do you moms do it? Looks like I'll be cooking and preping most of the weekend! What special (or not so special) get-a-ways do you have planned this summer? One final note, the products mentioned above are products I use and enjoy. I'm not being paid by anyone to mention them here.